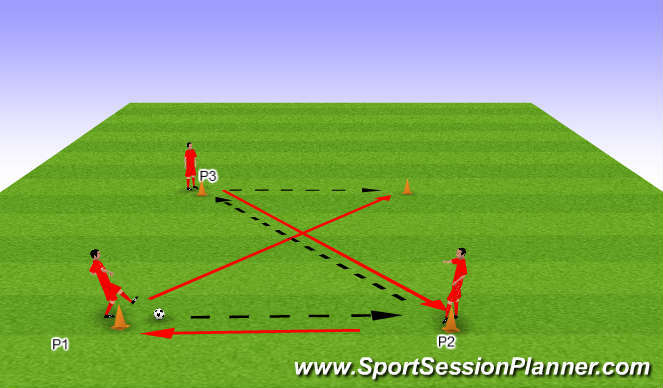 As Soon As P1 Plays the ball he/she makes a movement to the vancant cone. To progress introduce a defender. You can vary grid size based on player ability.